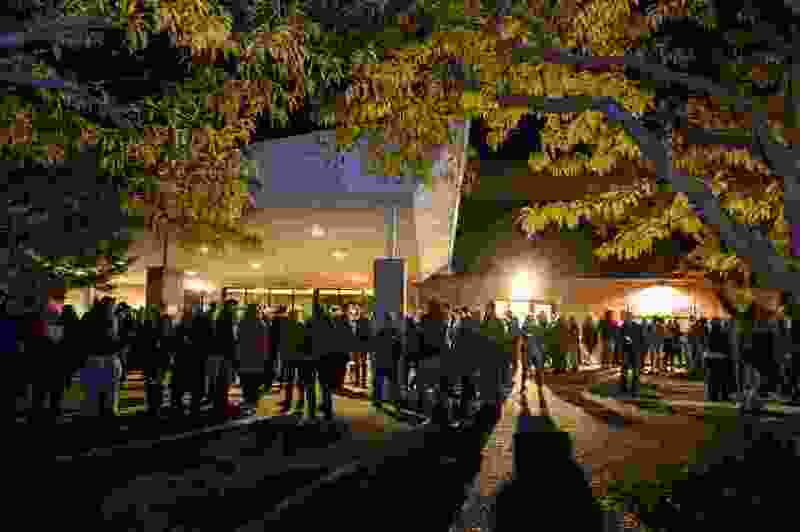 (Leah Hogsten | The Salt Lake Tribune) Members of Utah's Jewish and interfaith communities hold a vigil and prayer service at Congregation Kol Ami, Tuesday, Oct. 30, 2018, for the 11 people killed at the Tree of Life Synagogue in Pittsburgh. This isn’t another op-ed about gun violence. This is an op-ed about hate crimes. Hate crimes that could come right to your front door. Hate crimes that could attack your places of worship, as mine was attacked on Saturday. I was in a great mood last Saturday. Better than in a long time. For a moment, I wasn’t worried about how to raise my teenage boys in the age of extreme partisan politics and increased vitriol. It was a beautiful Utah fall day and I ran 8 miles for the first time in months; it felt great. I texted my sister to thank her for a call we’d had earlier in the morning that helped lift those clouds. I had breakfast with my boys and my wife. I threw tennis balls to my dogs. And then a man walked into a synagogue in Pittsburgh, and the world came crashing down. By day’s end, 11 people were dead and the investigators had characterized the massacre as a hate crime. This event is, of course, no more tragic than Haun’s Mill, or arson at a Texas mosque, or the shooting at the Pulse nightclub. It is no more tragic, but it is more personal to me. It’s more personal because I am Jewish. While I live in the Salt Lake valley, I am a member of Temple Har Shalom in Park City, and the 11 dead could easily be 11 of us on any given Saturday morning of worship. While this event is certainly more personal to me than other mass acts of violence, they all share a tragic commonality: They are all hate crimes. Hate crimes — motivated by race, religion, disability, sexual orientation, ethnicity, gender or gender identity — are the highest priority of the FBI’s Civil Rights program, not only because of the devastating impact they have on families and communities, but also because groups that preach hatred and intolerance can plant the seed of terrorism here in our country. I commend the FBI and our other federal law enforcement agencies for their recognition and focus on hate crimes. What if a gunman who hates Latter-day Saints walked into an LDS chapel today and started firing? While there are federal laws that could prosecute that individual for a hate crime, here at home, at the state level, we are lagging far behind. We have no effective hate crime legislation. And that is, unfortunately, intentional. There has not been a single crime successfully prosecuted under Utah’s weak hate crimes statute. Year after year, a new version of hate crimes legislation is unsuccessfully proposed — often not even receiving a hearing in committee, let alone receiving a floor vote. Most recently, Sen. Dan Thatcher, a Republican from District 12, has led this legislative effort, to no avail. This effort has the support of legislators, law enforcement, the general public and faith leaders from various denominations around the state. But our Legislature has been openly hostile to passing hate crimes legislation, despite the shared history of violent religious persecution shared by so many legislators who are members of The Church of Jesus Christ of Latter-day Saints. After all, it was to escape hate crimes in Illinois and Missouri that Brigham Young led the pioneers to the valley that I now call home. I have great respect for our Legislature and the leaders of the Church of Jesus Christ. But it is past time for effective hate crimes legislation to come to Utah, and with this latest in a string of horrific hate crimes throughout the country, I challenge our Legislature to see that it does. And we, as Utahns, should demand no less. I urge everyone to call your state legislators today and encourage them to pass effective hate crimes legislation in the upcoming 2019 legislative session. Josh Kanter lives in Granite. He is the founder and board chair of the Alliance for a Better Utah.